We as natural gas Y strainer manufacturer has set distinctive position in the market for delivering the world class quality solution against the natural gas filtration requirement. The offered Y strainer is composed from the stainless steel and carbon steel material and hence outperforms even under the high temperature and pressure. All the parts are designed to meet the highest quality standards and hence deliver a leak-free experience across its lifespan. The screens are made from the 304 SS material and therefore there is no skepticism of the rust, ensures the contamination-free media during processes. This natural gas Y strainer has proven its potency by performing untiringly under high pressure and efficiently filtering the sediments. 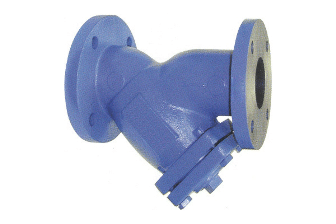 The offered natural gas Y strainer is capable to withstand up to 6000 psi operating pressure and temperature up to 1000° F.